I had an open house the other evening for folks who wanted to find out about volunteering in a “no strings attached” forum. You know the drill; people ask questions, hear other volunteers speak, see videos and generally get a feel for what it would be like to volunteer. 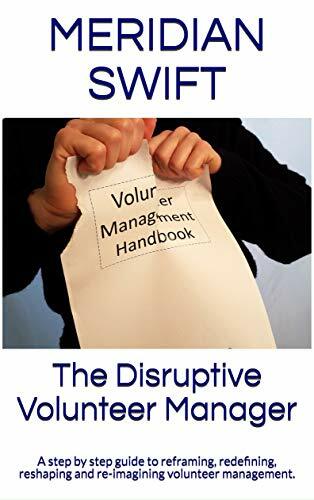 I’m finding that those who are just a step away from crossing the volunteer threshold will come, have their questions answered and some of their fears allayed. There were a good number of people, all asking “How much do time do you require” and “do I have to work directly with patients?” Amongst the crowd was one gentleman who stood out. He was young and dressed quite well, GQ actually. Most people come casual. He was very quiet. Most people ask questions and talk to one another. He sat and listened intently, more than most. What really made him stand out was his intense gaze. He had that look like he was waiting for a magic word or phrase that would free him from his hesitancy. Open houses and orientations are great ways to get to know people you are going to manage. They talk about themselves, what they believe, and how they view the world. It gives me some sense of where they are in life and why they want to volunteer. Managing people without pay is hard enough, but not knowing why they are volunteering is just too difficult. So, as I’m looking around the room, answering questions, getting a sense of everyone, I’m still at a loss with this young man who by his demeanor, seems to be out of place. And when you manage volunteers, it helps to have everything in place. Chaos is our world, so we appreciate some sort of control. Ahhhhhhhhhhhhhh. 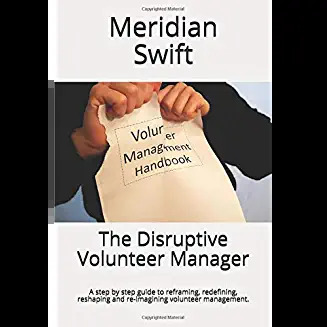 While I believe that everyone possesses more than one reason to volunteer, there are always those who sometimes know their reasons, sometimes guess their reasons and sometimes can’t quite put their finger on why volunteering will be something worthwhile. When I see that light bulb go off, I know then that I can help steer that person in the direction that hopefully will give him what he is seeking. Getting to know volunteers is a lengthy process. With this gentleman, the surface is only scratched. It will take trial and error to see where he “fits” and where he gets what he searches for. Don’t get me wrong, it will be interesting and I am looking forward to learning more about him and his journey. Do we know volunteers well? I’d say we know them intimately, because we are nurturing their very beings. I’m curious and excited to know this person and curious and excited to see him receive what he came for.